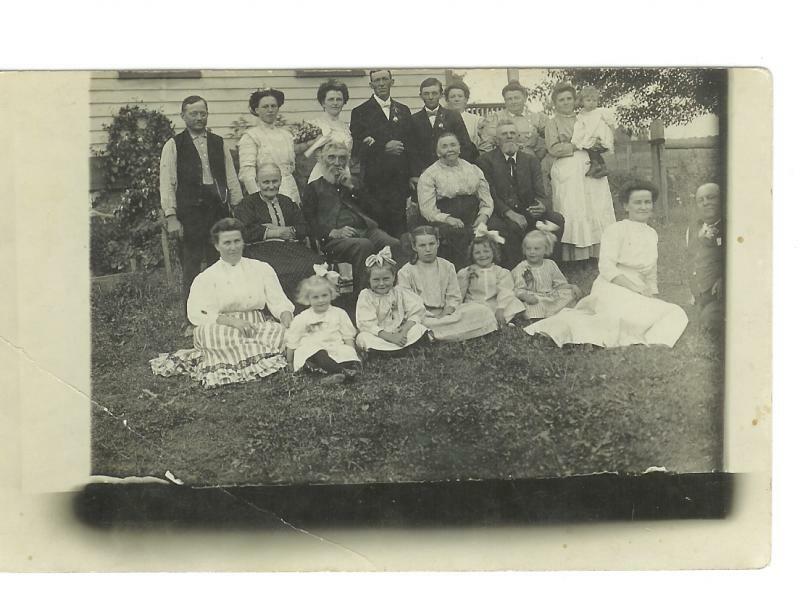 Comments: Johann Leonhard Schnell (Nee: ) | Richville MI United States | 1901-1920 | Comments: This is a family photograph taken on July 20, 1910 at the wedding of Sophia Wilhelmine Johana Schultz and C. Friederich Schnell. The parents of the newlyweds are seated in the middle row: parents of the bride, Johanna and Carl C.J. Schultz; parents of the groom, Sally Ursula and Johann Leonhard Schnell. The newlyweds are standing in the center of the back row with the bride the third person from the left and her husband as the fourth person.